The church of Jesus Christ is a global church. In Wise Church, you're invited to enter a conversation about worship that draws on the wisdom and experience of Christiansaround the world. Based on the document ""Worshiping the Triune God,"" a collection of proverbs on worship adopted by the World Communion of Reformed Churches, this book and study guide offers a global perspective on how and why we worship. With pictures, testimonies, hymn texts, and reflections on the meaning of communal worship, this study will help any local congregation celebrate the larger body of Christ withwhom they are joined every time they gather together. Each session includes an exploration of a section of""Worshiping the Triune God"" and questions for reflection. Use this studywith your worship team, church staff or council, or small group. "Wise Church is a wonderful book, truly wise. The down-to-earth writing is graced with homespun visual reports as well as art works. This book is the Christian Reformed Church Liturgy report of 1968 updated in a rich pastoral way, fleshed out devotionally, with congregational sensitivity. It has Pauline character, reflecting the writers' many far-flung missionary experiences. 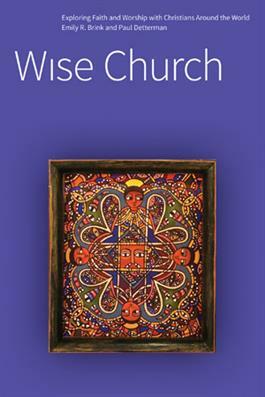 Wise Church is a worthy tribute to how God's grace has been multiplied in the ministry of Faith Alive." Emily R. Brink is a senior research fellow at the Calvin Institute of Christian Worship; for 20 years she served as founding editor of "Reformed Worship" and worship and music editor for the Christian Reformed Church. Paul Detterman, a teaching elder (pastor) and church musician in the PC(USA), is executive director of Presbyterians for Renewal and The Fellowship of Presbyterians. He is a former associate for worship and editor of worship resources for the PC(USA).